I remember when I was going through missionary training, before leaving for service in Hungary, that one of my fellow missionary trainees kept a notebook filled with quotes. Whenever he heard or read a good quote, he would jot it down in this notebook, where he could read and re-read it. Some of the quotes he wrote on index cards and hung on his walls. Long ago Solomon recorded, “A word fitly spoken is like apples of gold in pictures of silver” (Proverbs 25:11). Every time I read any of the old Puritans I am struck by their ability to turn a memorable phrase. Indeed, to write them all down would fill many a notebook. I recently finished reading one of the newest “Puritan paperbacks” from Banner of Truth, titled Sermons of the Great Ejection. 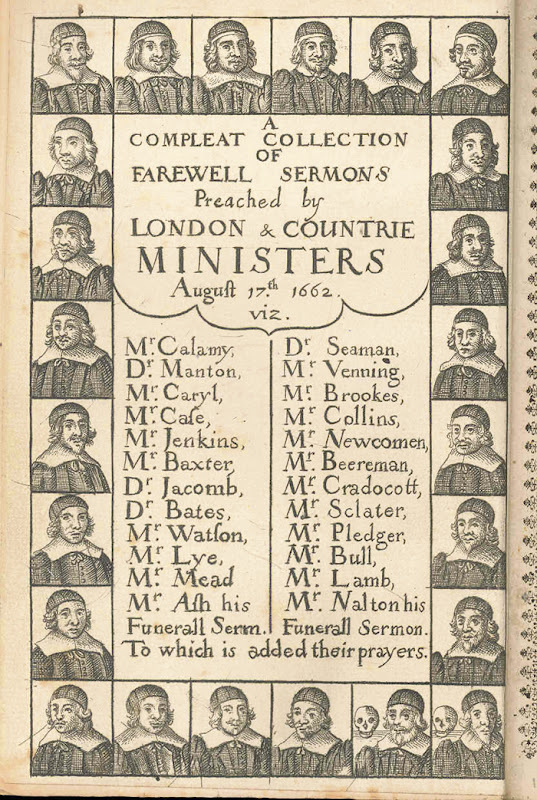 In 1662 many of the finest preachers in Britain were turned out of their pulpits after the monarchy was restored. 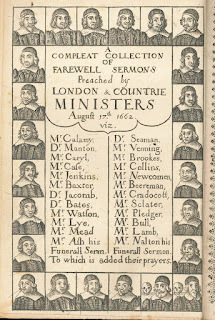 This book is a collection of some of the final or farewell sermons preached by these men as their pulpits were denied them. Some were expelled never to preach publically again. 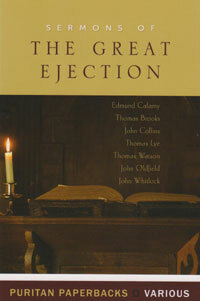 Sermons of the Great Ejection was first published by the Banner of Truth in 1962 on the 300th anniversary of “The Great Ejection.” The 2012 reprint marks the 350th anniversary. “There is no way in the world to hold on together like suffering, for the gospel really gets more advantage by the holy, humble sufferings of one gracious saint, simply for the word of righteousness, than by ten thousand arguments used against heretics and false worship” (John Collins, p. 78). “Do not turn your backs on Christ; the worst of Christ is better than the best of the world” (Thomas Brooks, p. 48). “Should there be a thousand devils, yet all those devils are in one chain, and the end of that chain is in the hand of one God” (Thomas Lye, p. 116). “The man that is most busy in censuring others is always least employed in examining himself” (Thomas Lye, p. 117). “The rod of God upon a saint is only God’s pencil, by which he draws his image in more lively fashion on the soul. God never strikes the strings of his viol but to make the music sweeter. Thus it is well with the righteous” (Thomas Watson, p. 144). “Be as much afraid of a painted holiness as you would be afraid of going to a painted heaven” (Thomas Watson, p. 168). “Christ’s doves should flock together…. Conference sometimes may do as much good as preaching” (Thomas Watson, p. 169). “Keep yourselves from idols and take heed of superstition; that is the gentleman-usher to popery” (Thomas Watson, p. 173).